A Day at the Park. What’s better to collect – questions or answers? Lovely comic by Kostas Kiriakakis. Click for full comic. Biology is ripe for TOK discussion and links, and it seems that every month there are curriculum and TOK-related knowledge issues in the news. 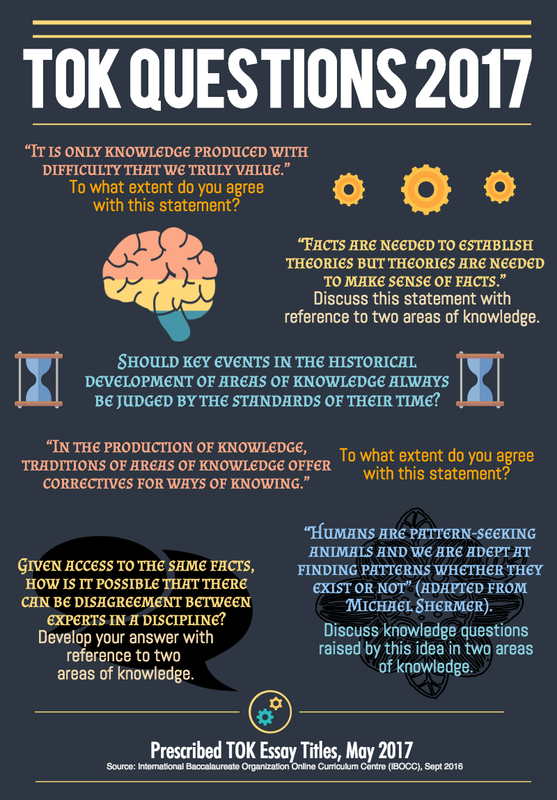 This section provides some respources to stimulate discussion and give ideas for your TOK Essay. Biology is one of the natural sciences, an area of knowledge. The natural sciences can sometimes be placed in false conflict with the arts or religious and indigenous knowledge systems. These conflicts are rarely helpful to the knower. The natural sciences tend to rely on the ways of knowing of sense perception, reason, language, memory. There are many examples of discoveries made or inspired by imagination, intuition and emotion – however these are then rigorously tested and explained using the scientific method (falsification). There are many good resources on the natural sciences as an area of knowledge on Mr Hoye’s TOK website. This includes a helpful chart of the explicit suggested TOK connections from the IB Biology subject guide. Here are some ideas for connections to the Biology course, either as case studies or simple provocations that can engage students. Many of them basically boil down to the issue of the scientific method and how we decide to act upon (or ignore) scientific evidence. If you find them useful, or have suggestions for improvements, please let me know in the comments. Evolution, natural selection, the nature of science (and falsifiability) and that tired old saying. Richard Feynman on his discussion with an artist friend. Who sees the beauty of the flower? Outstanding TED Talk stimulus. How do tribal shamans work out which combinations of plants give the correct effects without endangering their lives? Homeopathy and Oxygen Water (science or pseudoscience)? By what criteria should a claim be judged to be ‘pseudoscientific’? Media manipulation of low-quality evidence. Over-reaching conclusions. Altruism and Selfish Genes: Is Anyone Really ‘Good’? Are we truly unselfish or is kindness a veneer to promote our own reproductive fitness? To some it doesn’t matter how right you are, but how loud you shout. Sadly. Rationalism, scientific thinking and climate destabilisation. Look up some of John Oliver’s “Last Week Tonight” episodes for recent inspiration and some sweary-ranty take-downs of pseudoscience and media. 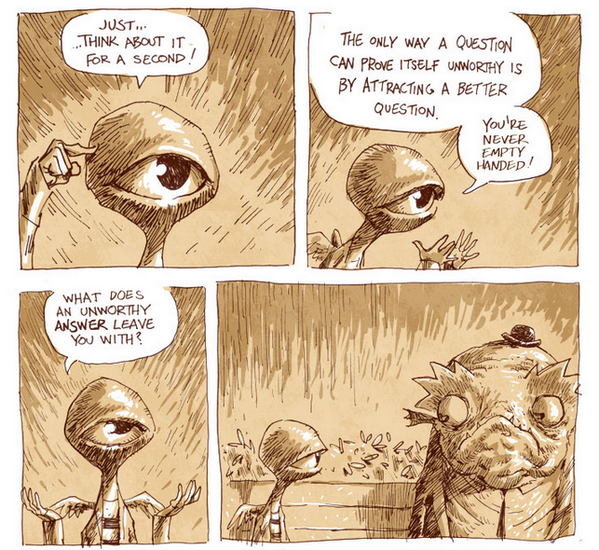 This is a great batch of questions. 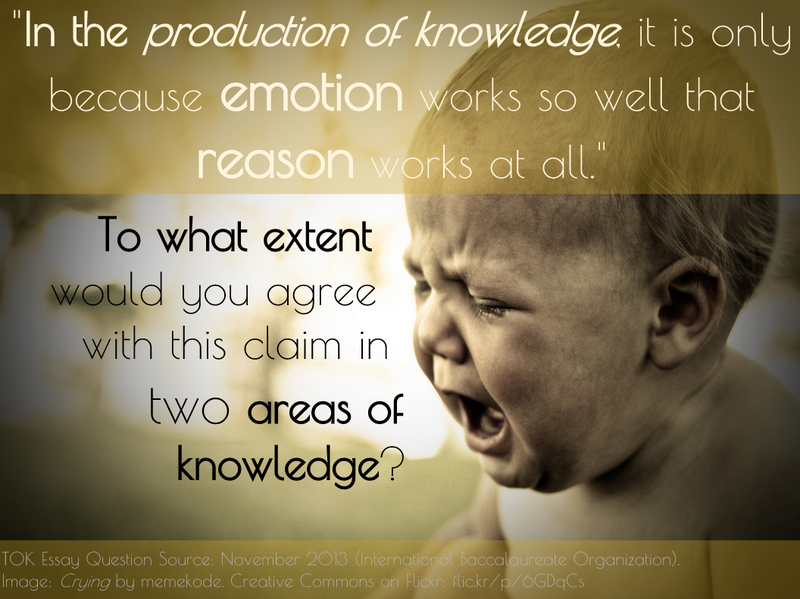 Which will you choose and how could you connect science in your reasoning? Source: IBOCC. Printable pdf here. Source: IBOCC. Printable pdf here. TOK Questions 2017. 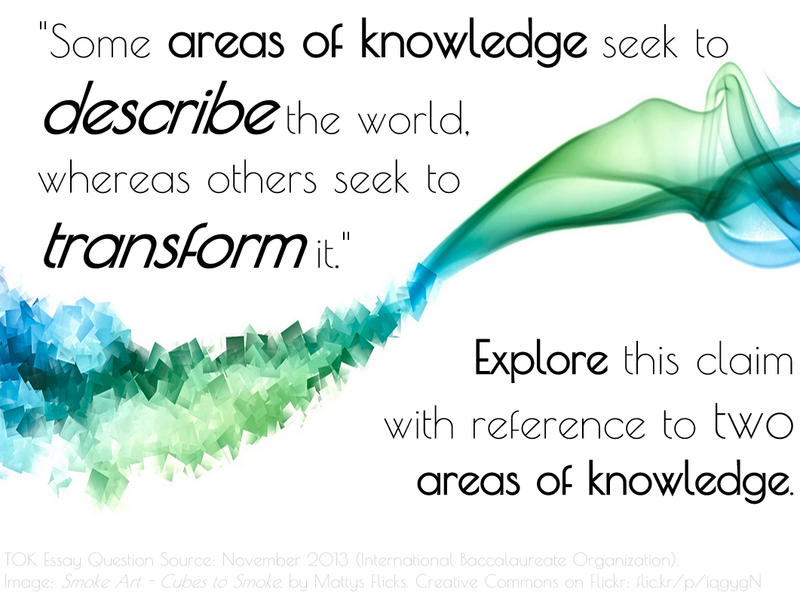 Source: IB Online Curriculum Center. 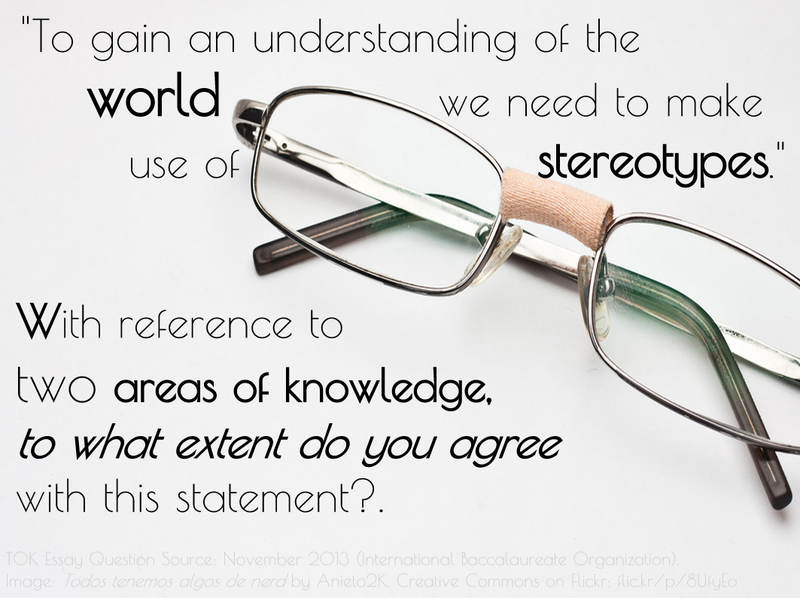 Here are some quick posters made up for TOK Essay questions (Nov2013 Session). Please feel free to use these resources! Teachers may copy/paste or link to the resources, but please cite the source as i-Biology.net and provide a link. Thanks. If you do use these resources, please let me know in the comments below! Creative Commons is the way to go, and if you’re keen on sharing, please join in. 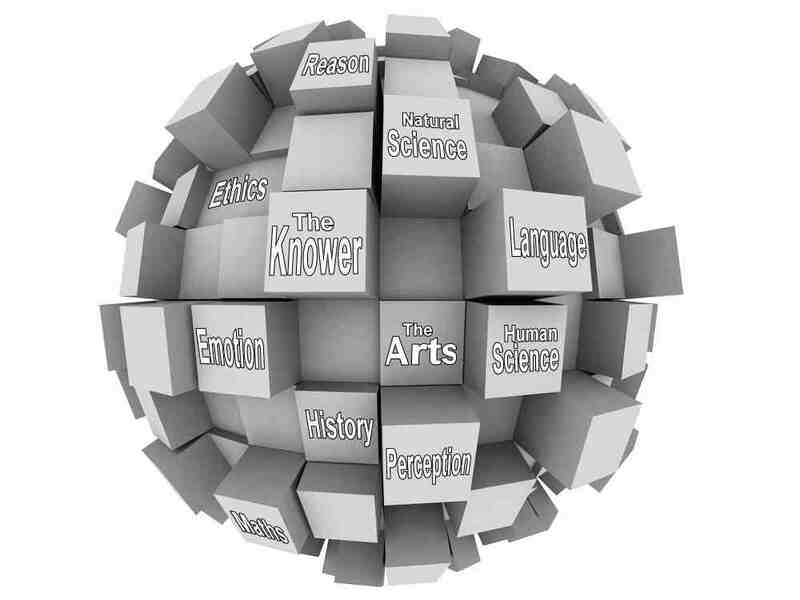 For a pretty comprehensive resource for the overall TOK course, visit Mr. Hoye’s TOK Website. Lots of ideas, resource and past and present essay titles. Here is a nice example of resource sharing – a Natural Sciences TOK Scheme of Work on Scribd, from Simon Taylor. His blog, KnowledgeTheory, has lots of resources, as well as a specific site for the Natural Sciences. Check out his cycling blog too. If you’ve used any of these resources or have other suggestions for topics to add, please let me know in the comments here! Thanks for all of this great material, particularly the options. It’s our first cohort for IB and we finish in early April. Your help has been fantastic. I would not have made it through my first year teaching at an international school AND IB without your help! It is very obvious that you love what you do and really try to make the material relevent to the students’ lives. It is an inspiration! Thanks Jennifer – I do love it! Good luck, and well done getting through the first year! Thank you for your great materials. I’m learning how to teach IB biology, and I’m confused about TOK link. I feel the sample TOK link questions in IB biology guide are not connect directly to the subtopics comparing to the other subjects. 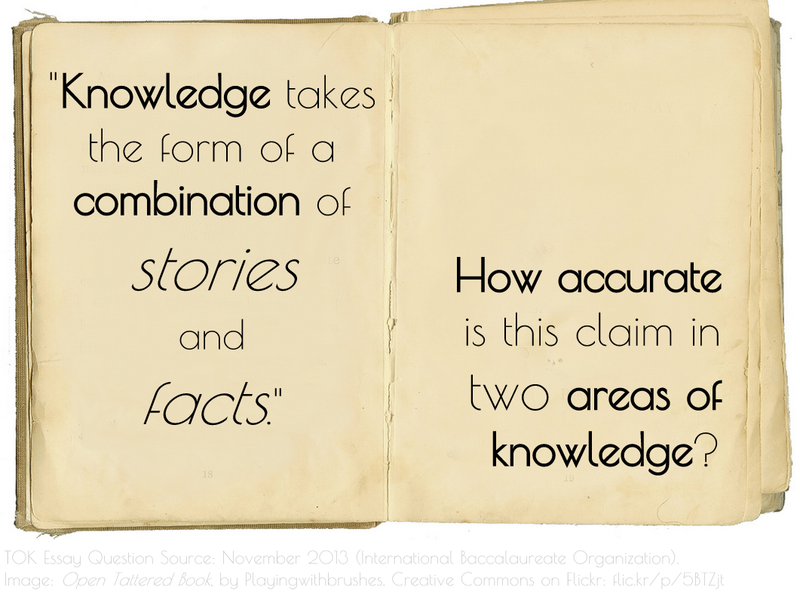 For example, in the subtopic about emzymes, is it OK to discuss sharing knowledge as a TOK link? Hi Yoshiko – thanks for the comment! I think the TOK connections will come more naturally as you get to know the IBBio course, so don’t worry. Every now and then, I’d like to take a half lesson to reflect on our content so far and see how they fit into the TOK essay questions, or ideas for TOK presentation. Does this help? This is an amazing resource! Thank you!! !